We are proud to present the next in an occasional run of interview features - Sam Scott's recent interview with independent UK distributor 88 Films. With the help of some questions posed by Rewind visitors and team members, here is the interview. Before we start, thanks very much for giving us some of your time for an interview. Can you tell us more about 88 Films, who is behind the label, and why they started the label? It started with just the two of us really, in our bedrooms whilst working at another label. We both wanted to be our own bosses and to have the opportunity to work on some of our favourite films. It kind of spiralled from there really. Then we started working with Calum Waddell and he's helped us pick up some really exciting titles. George Lamb asks, in keeping with your post on Facebook in which you stated a Blu-ray of Dr Mordrid would happen depending on how well Trancers does, what is the current situation based on pre-orders and early sales? We won't release Doctor Mordrid on blu-ray this year as we've got so many other titles we're working on at the moment and so many other unannounced ones we won't be able to fit it in. Neil Vitora wants to know which release is currently your favourite, and why? Which has caused you the most difficulties in getting rights, and how did you overcome the issues? 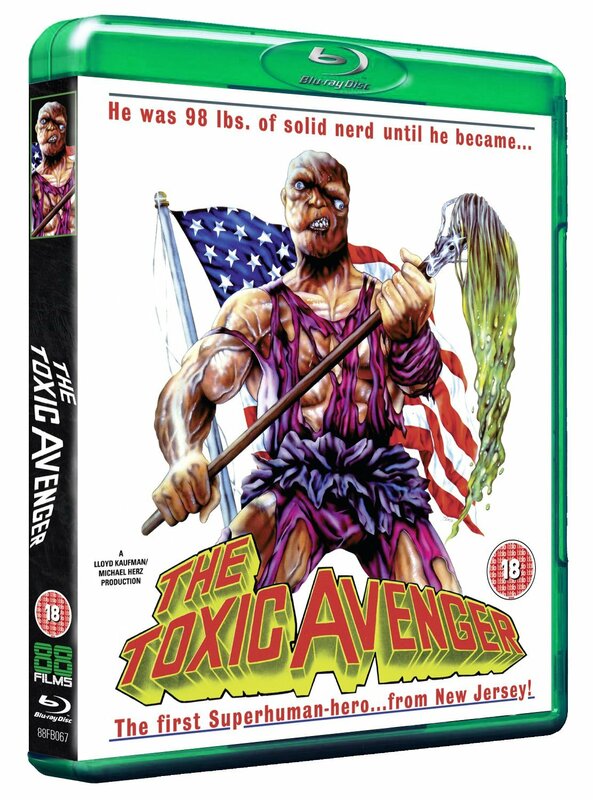 Our favourite is a tie between The Toxic Avenger Steelbook, which was a very expensive product but we think it was worthwhile and the Last Horror Film which we both really enjoyed working on, especially as we went to all the locations. We went to Cannes last year and met Caroline in Manchester. I think you've answered your own question there David. Because the studios don't want to release these titles it means people like ourselves, Second Sight and Arrow can. And hopefully we can produce better editions with more care and attention anyway. We've decided to release Moontrap on DVD only because of the quality of the transfer which is quite soft, though will look and sound reasonable on DVD for a title that hasn't been released since the VHS days. Hi James, we have a strong Troma output planned and will still be releasing Full Moon titles but not at the same rate as previous years. We have big plans for these. We have just signed on a deal for slashers 8, 9 and 10 which are very strong titles. In terms of the Italian range, the Zombie Holocaust indiegogo campaign has really helped to confirm how much interest there is in this range so expect plenty of new announcements from us in the future. The wrong cut of [the] film was transferred and nobody noticed until it was too late. Even the director didn't notice when he recorded the new commentary. It was a real balls up which we hope not to repeat again. We are looking into rectifying it at the moment. We'd love to release Sorority Babes on Blu-ray if and when a master became available. We'd also like to see Beach From Beyond in HD :), oh and Alice Sweet Alice too if the materials ever turn up! [to the second part of the question]Yes, definitely. [to the first part] Enough said really. Thanks very much for your time and the great interview. One final question though! Any exclusive information you can sneak us? Thanks again to 88 Films for allowing our users this opportunity of an interview. You can support them and Rewind by buying their products from Amazon, or better yet, direct from 88 Films.